Hutt valley students began their river investigations with a focus on 2 contrasting sites:-the Hutt River at Melling Bridge and Waiwhetu Stream at Whites Line East. 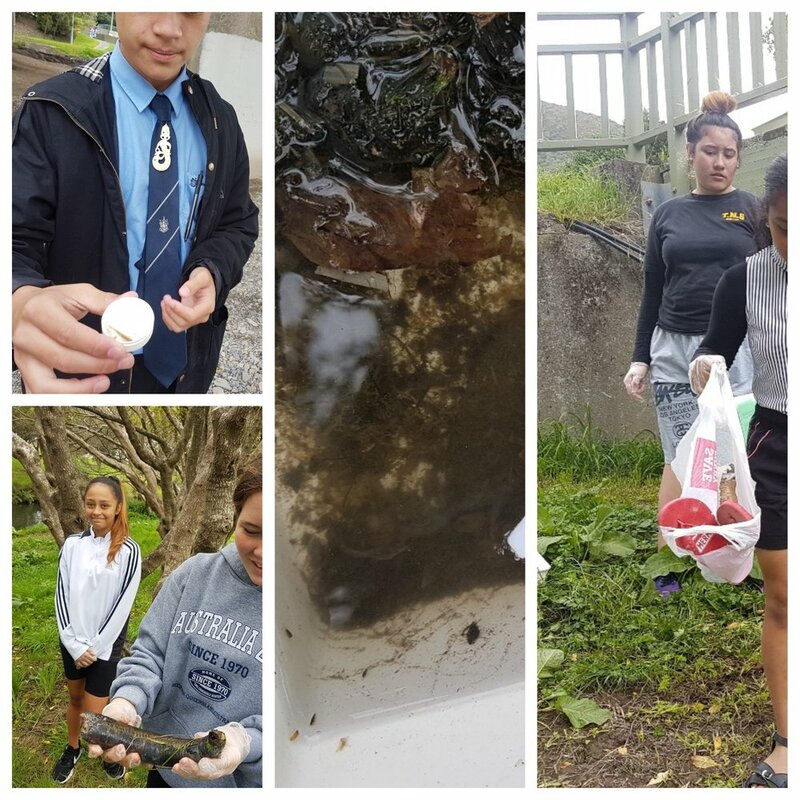 Observations of toxic algae along the Hutt river created a lot of prior enthusiasm as students were aware and informed of the conditions that had resulted in the death of a few dogs in the area. Greater Wellington Regional Council's Jo Fagan (Senior Biodiversity Advisor - Projects, Strategy and Advice, Biodiversity Department) and Shyam Morar (Senior Environmental Monitoring Officer Marine & Freshwater Team, Environmental Science Department), provided invaluable knowledge regarding monitoring of various sites for periphyton biomass, water quality and ecosystem health. Dr Amanda Valois, NIWA freshwater ecologist, accompanied the Lower Hutt students on this trip as they collected scientific and ecological data. Both sites were sampled for core water quality variables (ie, river flow oxygen, temperature, pH, conductivity, visual clarity, turbidity, macroinvertebrate indicators and dissolved and total nutrients). This data can then be compared to physico-chemical and biological sampling variables monitored at each RWQE site during 2016/17 as presented in the Annual Data report on Environmental reporting. Students were able to clearly learn about the differences between the two streams; observing small fish at Hutt river at Melling bridge as compared to a dead eel at White line East. Results captured were quite similar to our Greater Wellington regional scientists measurements. With ongoing monitoring and access to SHMAK kits, the work begun marks the first steps toward empowering rangatahi in further inquiry into the ways their river can be improved to support more fish or even how their stream can be cleaned, restored and enhanced to market a "clean, green image". A very worthy experience for rangatahi.